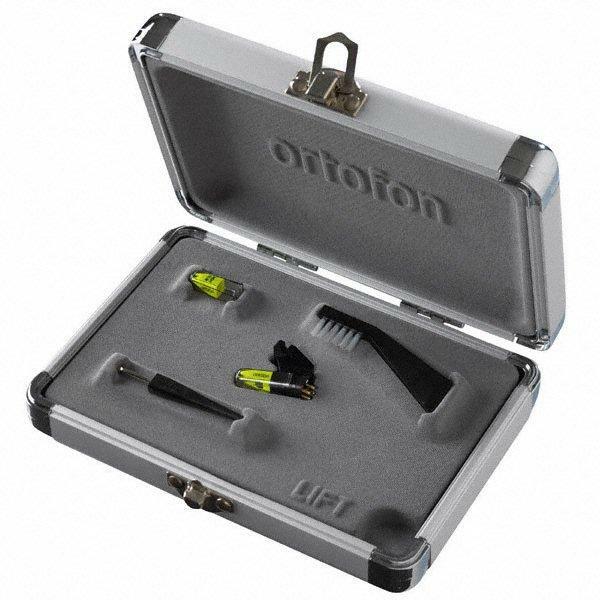 Ortofon OM Night Club E Kit with Extra Stylus DJParts - All Variety of Parts that DJ Needs. This is the Elliptical Version of the Popular Nightclub Cartridge. Unique headshell has a large cutout that offers great stylus visibility while in the record groove. Bright fluorescent stylus tip is great for working in dim club lighting.